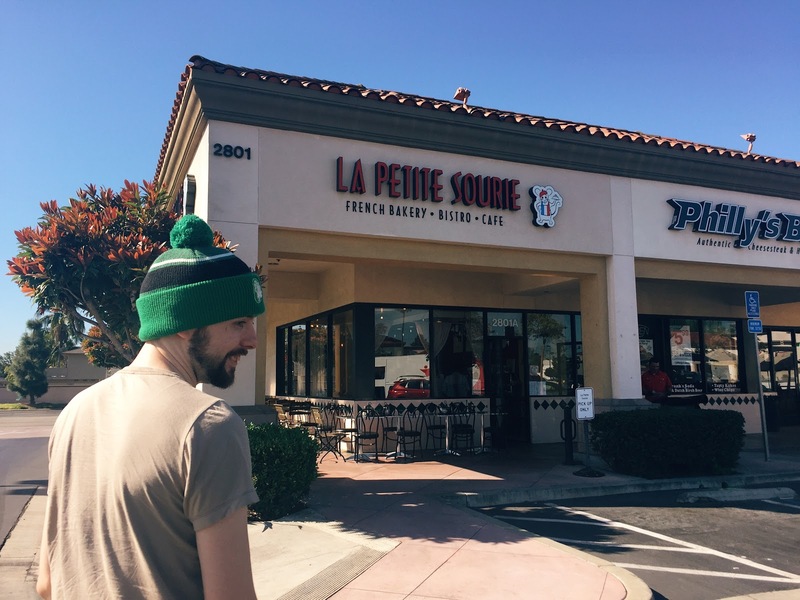 Before our drive home on Wednesday, Chris and I stopped by La Petite Sourie, a little hole-in-the-wall French cafe and bakery. The place is a hidden gem; they serve breakfast all day with all items under $10. 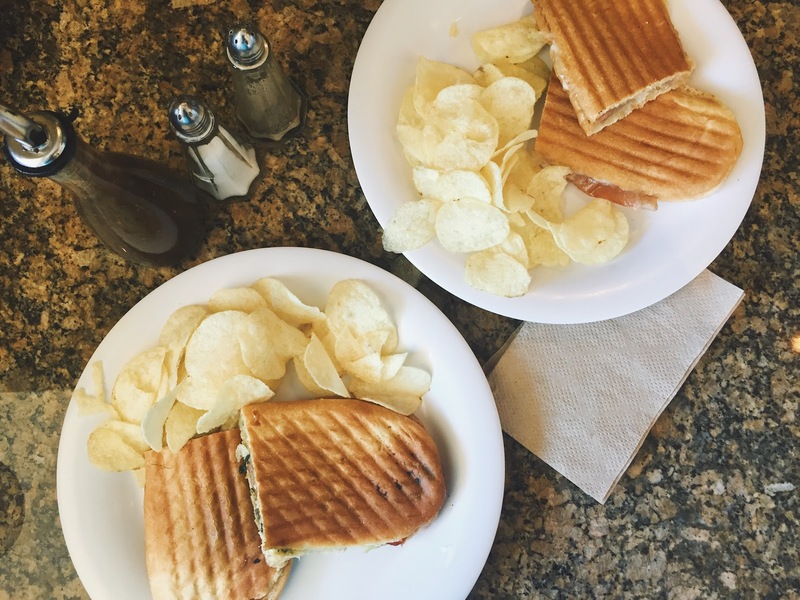 I got the chicken caprese panini while Chris got the ham & cheese panini; both came with chips. The chicken caprese I got was really good; although, they could’ve used a different kind of bread. 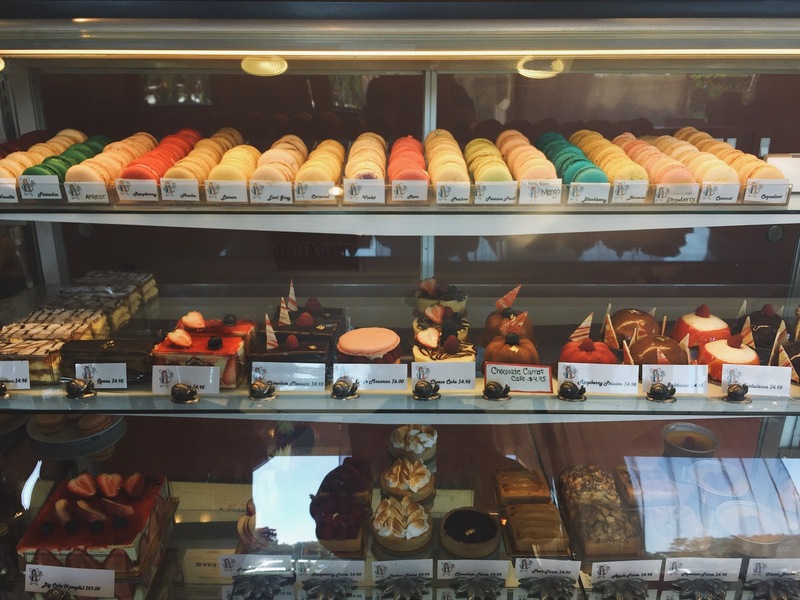 The best part of the bakery were the macarons – they had so many to choose from. They didn’t have the green tea macaron, which was what I was looking forward to. The lady was nice enough to let me try the earl grey tea macaron which was probably just as good. We bought the nutella, blackberry and coconut macarons. I wanted to get a dozen but they were a little too expensive for me. The coconut macaron tasted sooo good – probably a biased opinion because I love coconut. Seriously, Macarons are way too expensive here. Well, I get it, they are delicious haha. Ooo I love paninis! Ooooh! There are so many delicious-looking goodies at La Petite Sourie! It's a bummer that the bread didn't sound as appetizing but at least you enjoyed it :). I have never tasted any macaron that's not pink or beige. The macarons you bought sounds delicious! Sometimes, I wonder why macarons are so expensive @___@. 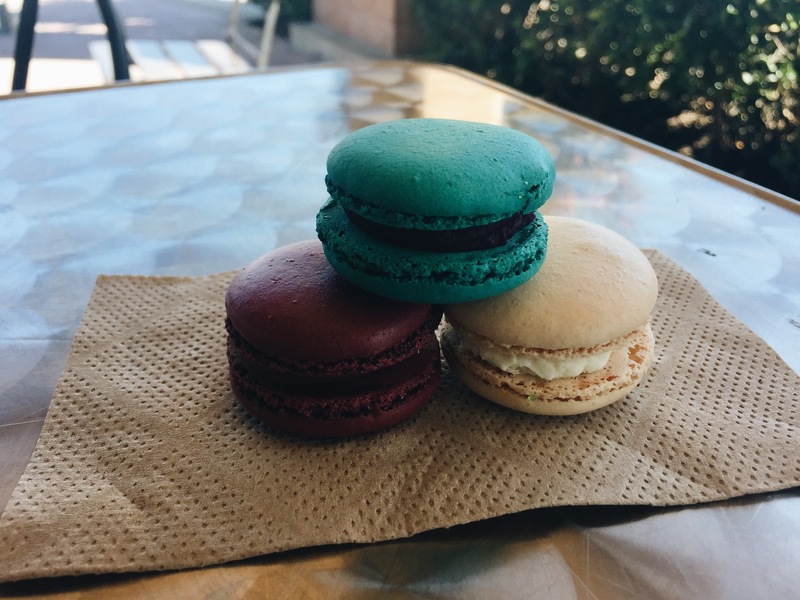 What's the cheapest macaron you've seen around the area? Hi Eena!, this is the first time I have visited your blog and I love it! I'm drooling over those macarons huhu. I could just eat them all day! Sooo many yummy goodness! The macarons look lovely! I bet they taste as good as they look. You are lucky to find such a great place. Those macaroons! Omg, you're so lucky to have something like this there in your area.